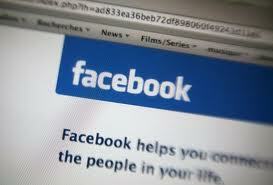 Facebook stalking is an unfortunately prevalent online crime. However, Facebook stalking oneself is a pretty unique offense. Cheryl Nelson, a 52-year-old woman from Grand Rapids, Michigan, is charged with creating a fake Facebook profile for her ex-boyfriend and then harassing herself with it to frame her former flame. Police say that from November 2011 to October 2012, Nelson filed eight criminal complaints against her ex-boyfriend, claiming that the man was harassing her, stalking her, assaulting her, and even breaking into her home. Then, in August 2012, Nelson filed a complaint that her ex, Kevin Haarsma, and his new girlfriend had taped threatening letters to her home. However, in the course of the investigation police found that Haarsma had already filed complaints against Nelson for stalking him. Police then obtained a search warrant for the woman’s computer and found the fake profile. Nelson faces charges of falsely reporting a felony. The Internet often gives people a forum to express their thoughts and feelings in moments of anger, moments that they should probably not share. As law enforcement becomes more digitally savvy, anything you post on Facebook can, and sometimes will, be used against you.